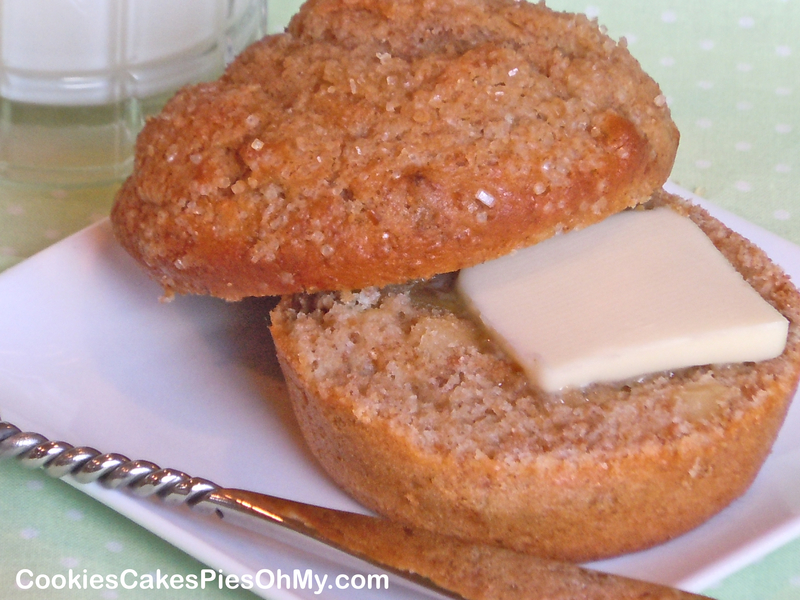 I love a good bran muffin, but sometimes they are hard to find. This recipe really works for me, moist and flavorful. For anyone who thinks they won’t like a bran muffin, I think this recipe disguises the fiber healthiness with tasty goodness. Preheat oven to 400°. In medium bowl, pour buttermilk over All Bran cereal, set aside. In large bowl, stir together flour, sugar, baking soda, cinnamon, nutmeg, salt, and walnuts. To buttermilk/bran mixture add oil, egg, sour cream, and vanilla, mix just until combined. Add buttermilk mixture to dry ingredients and mix just until combined, batter will be thick. Scoop batter into muffin tray or greased muffin pan. Makes 12 regular size muffins or 8 Texas size muffins. Sprinkle with raw sugar if desired. Bake for 15-20 minutes or until golden brown and center is set.